Shipping Logistics: T&M works with an Austin, TX-based freight broker that is familiar with our factories, and the type of equipment we well. 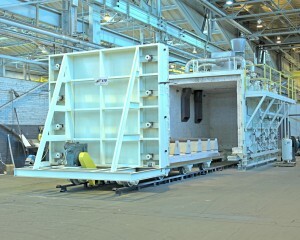 We work with the factory to get crated weight and dimensional information, special delivery requirements (lift-gate trucks, air-ride trucks are commonly required), and provide you a very competitive rate with premium service and logistics expertise (stock freight image here preferred). Installation and start-up services: depending on your circumstances and type of equipment you’ve purchased, this may or may not be required. T&M can advise if this is needed or not, and provide you a quote from the nearest sub-contractor that can make sure you’re up and running safely. Provide form, fit, and function systems to replace legacy ATE systems, often compatible with pre-existing software. 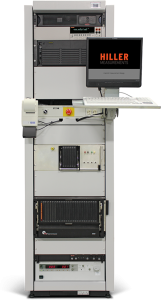 Built-to-print: procuring specific brands and models of test equipment, building, and testing automated test systems to exacting customer specification. Come on-site for a “walk-down” at your plant. We help select the appropriate sensors and cables for the environmental conditions, measure off cable lengths, and select appropriate junction boxes to connect to permanently mounted monitoring equipment like PLC’s, or for easy access on a data collection route. 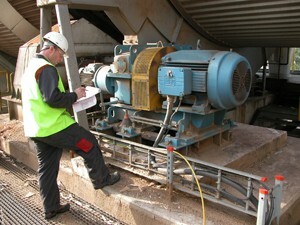 We can also provide route data collection as a service for plants with rotating equipment that has to be monitored for vibration levels on a regular basis. We use our own advanced data collectors based on the Apple IPAD. We can publish the data to a secure “cloud” location, for your login and review. Our advanced analytics can help highlight problem areas and spot trouble before it disrupts your process.